Hitchin' Post Stables offers sleigh rides in Flagstaff, Arizona, available from mid-December through mid-March. Where can I go on a sleigh ride in Flagstaff? 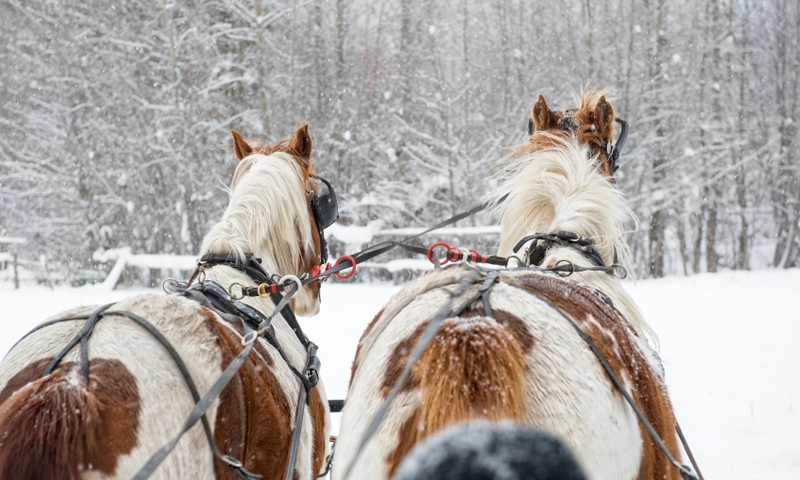 Hitchin' Post Stables offers a few different options for sleigh rides in the Flagstaff area. Enjoy a 1 hour scenic sleigh ride and stop at a campfire site. Adults - $45, kids $40. Take your pick from four small sleighs that are great for a private family tour or even an engagement. Prices range from $150-$300 depending on the size of the sleigh.